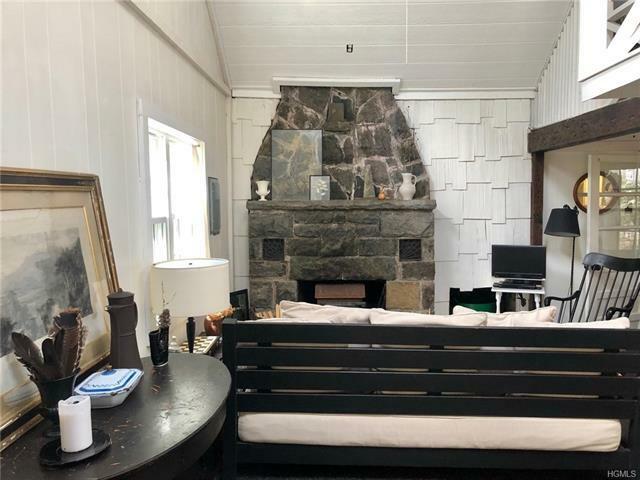 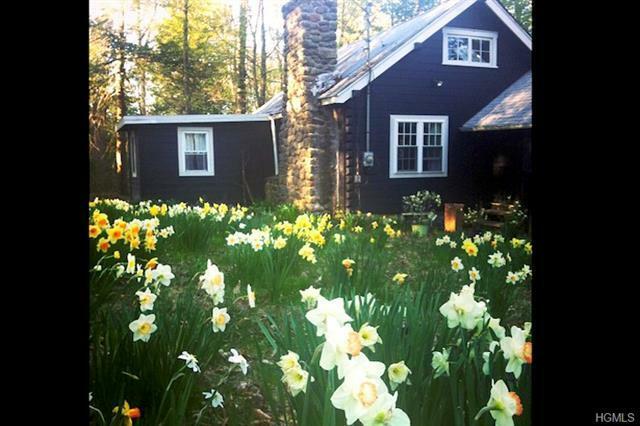 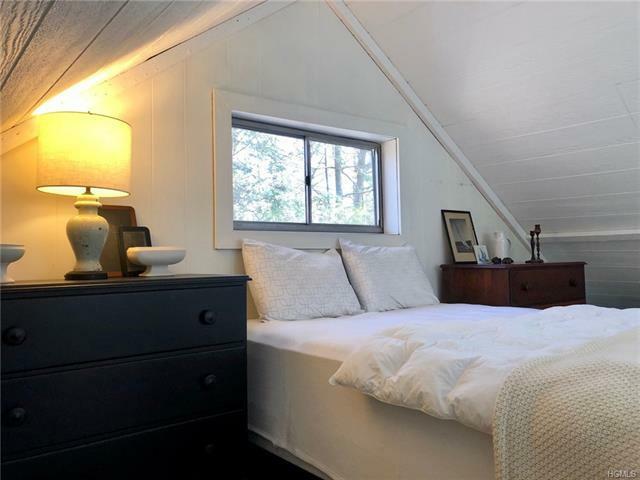 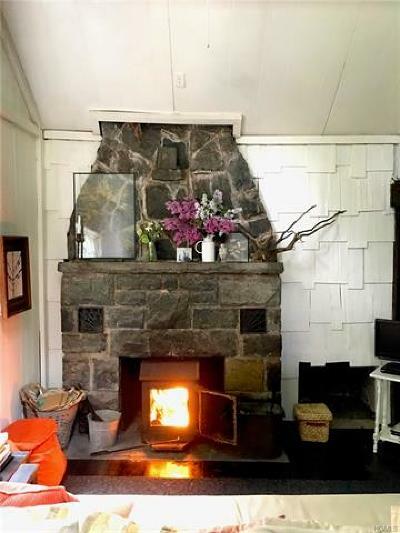 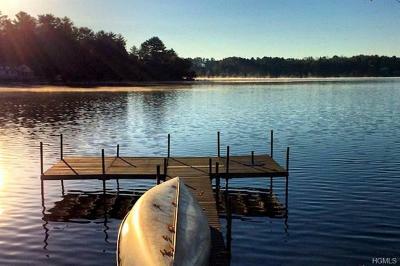 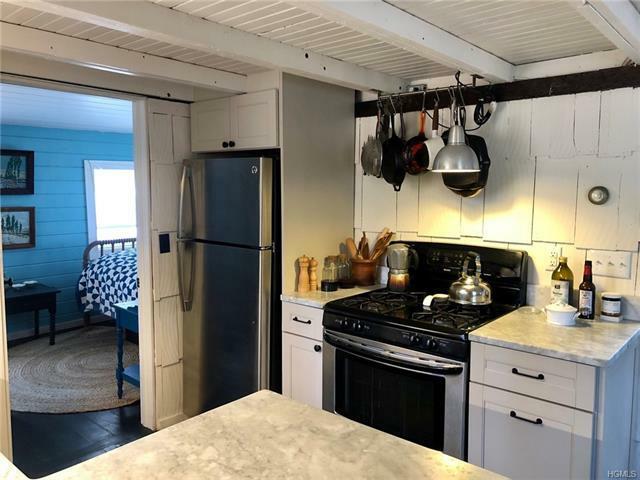 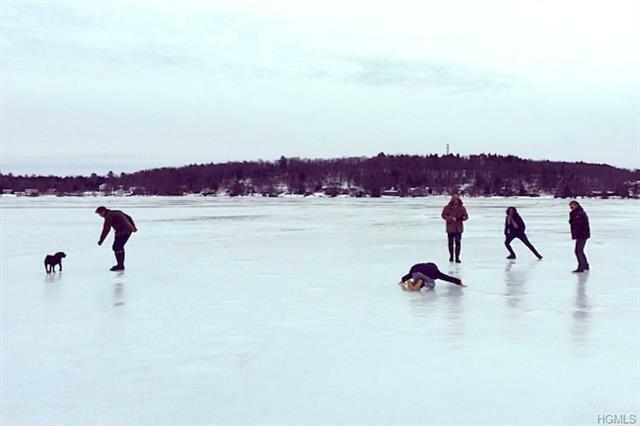 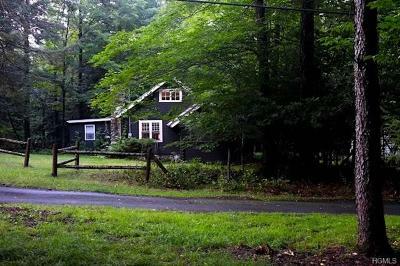 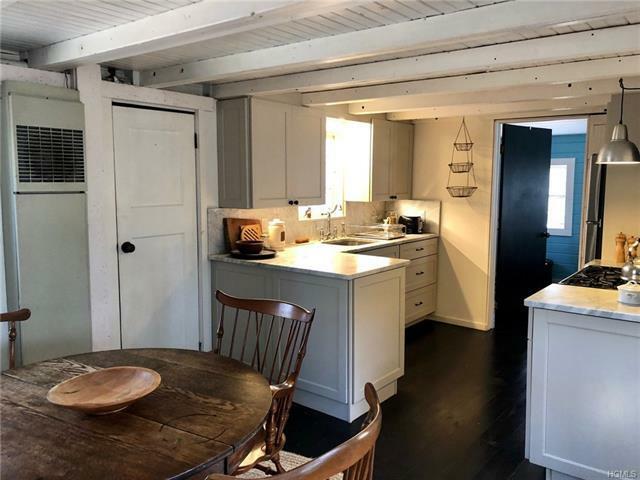 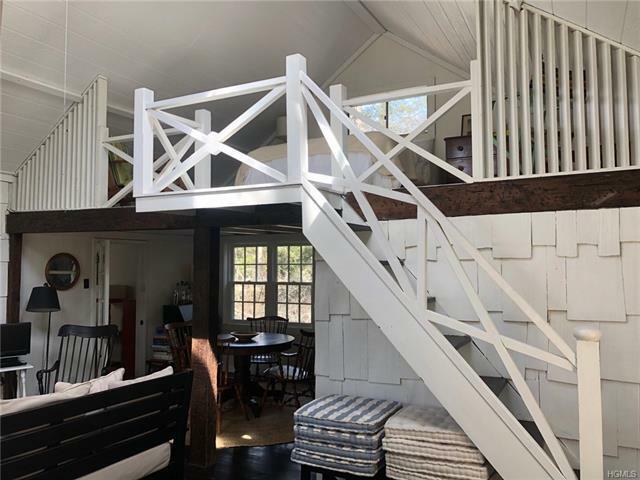 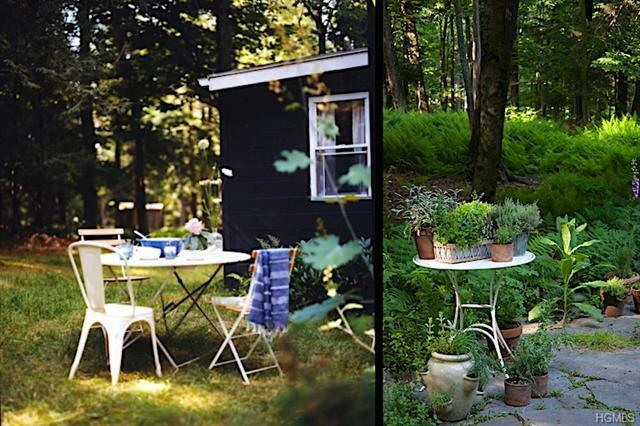 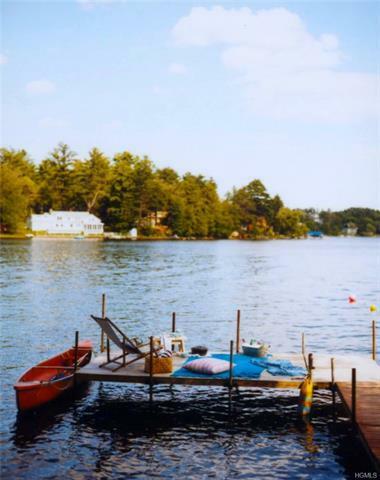 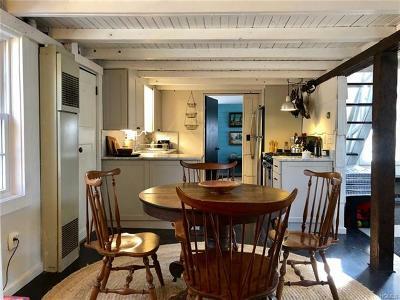 This adorably chic 1940’s cottage sits prettily in the Beechwoods Community on bustling and beautiful White Lake, and is just a short stroll uphill from its own private dock. 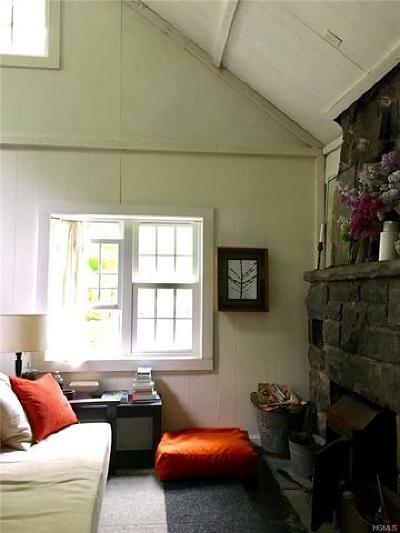 The house makes use of every inch of its tiny footprint, and with an easy style that establishes the mood for a relaxing stay. 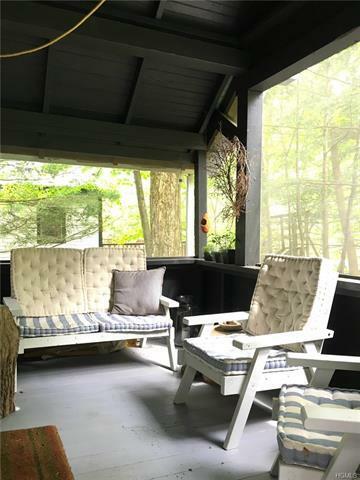 Enter through a screened porch into a great room with high-gabled ceiling and space enough for lounging and dining. 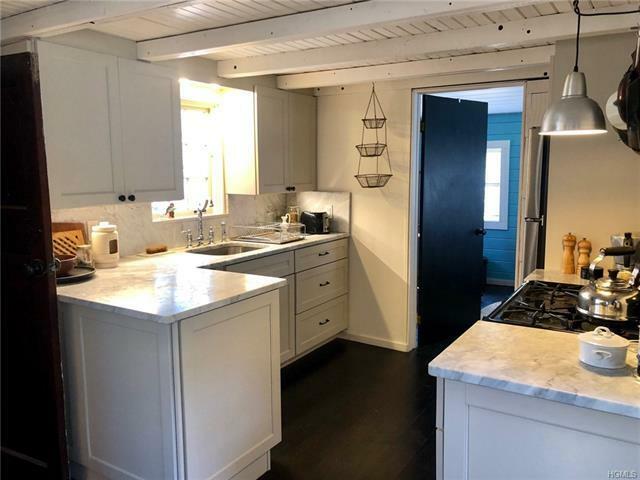 Newly renovated in 2018, a simple and elegant kitchen with marble counters and stainless appliances leads off to the right of the living space. 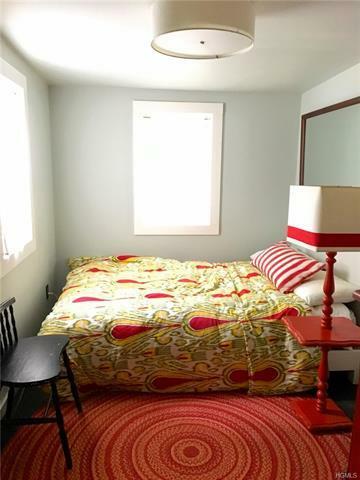 Beyond that is one of the two bedrooms. 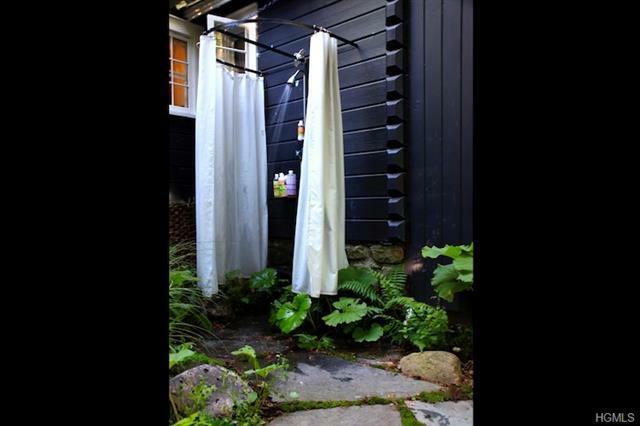 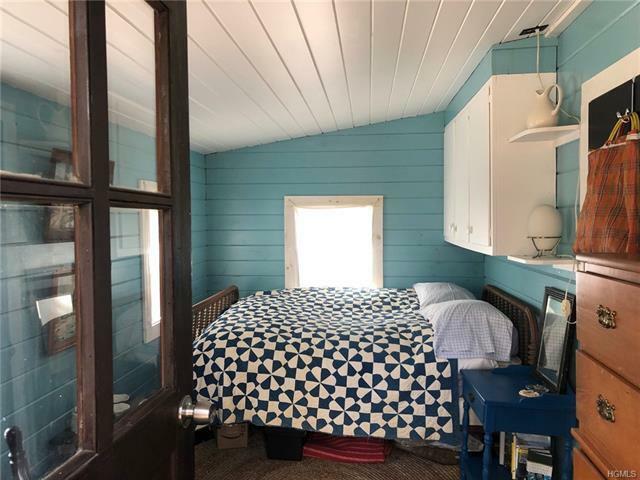 Bright blue walls keep things cheerful year-round, and a rear door leads to the backyard, with the bonus of an outdoor shower. 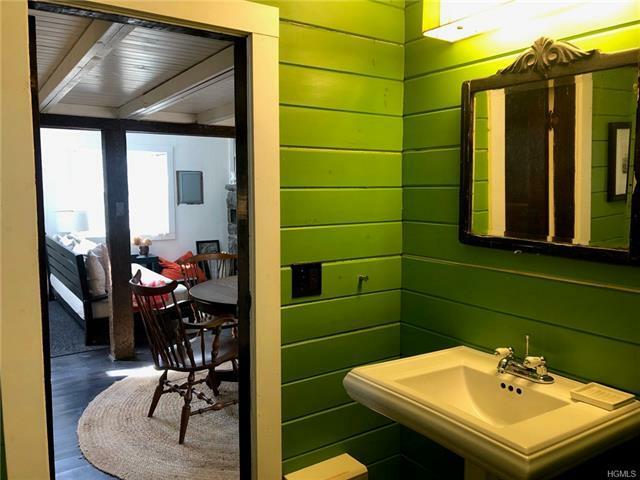 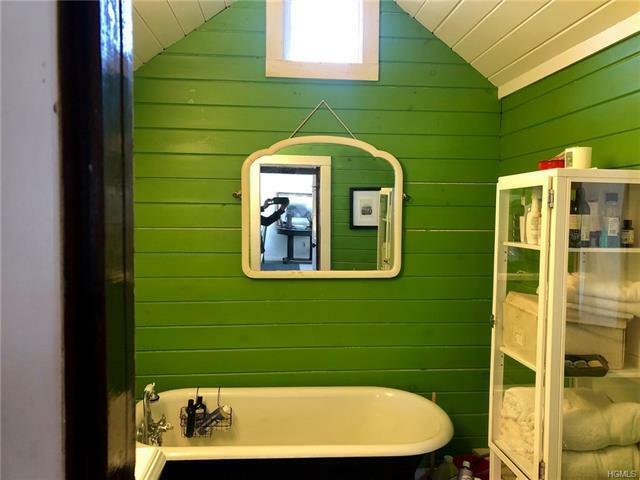 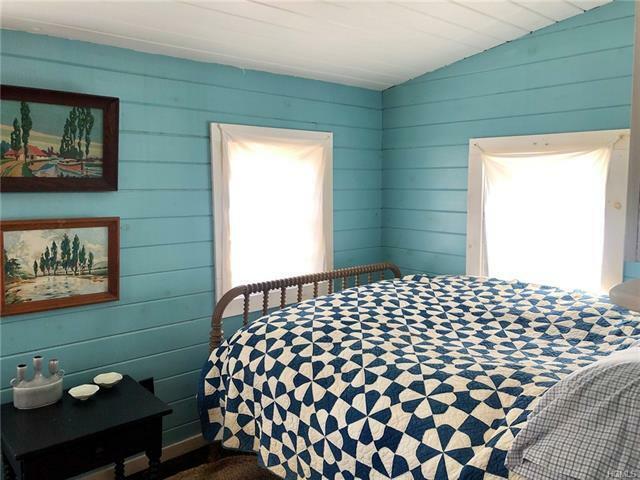 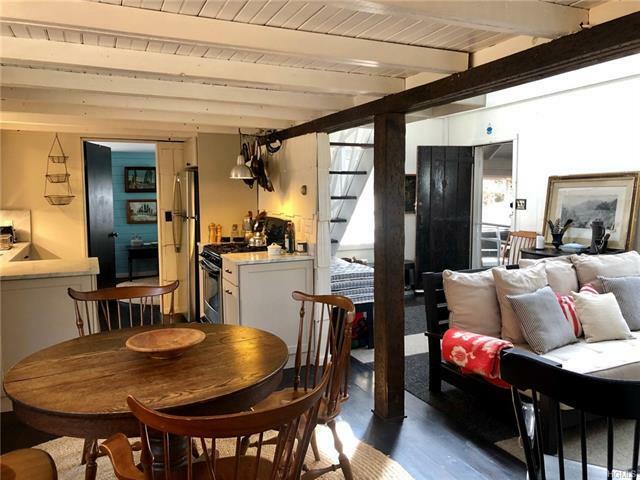 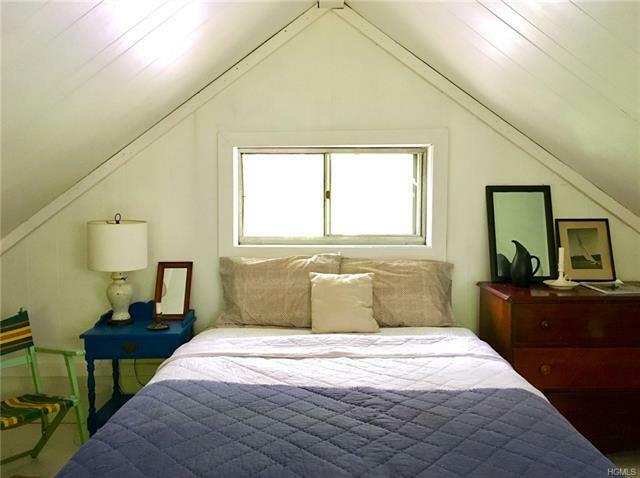 A second good-sized bedroom is located on the other side of the house, just past a delightful, freshly painted apple green bathroom with a clawfoot tub. 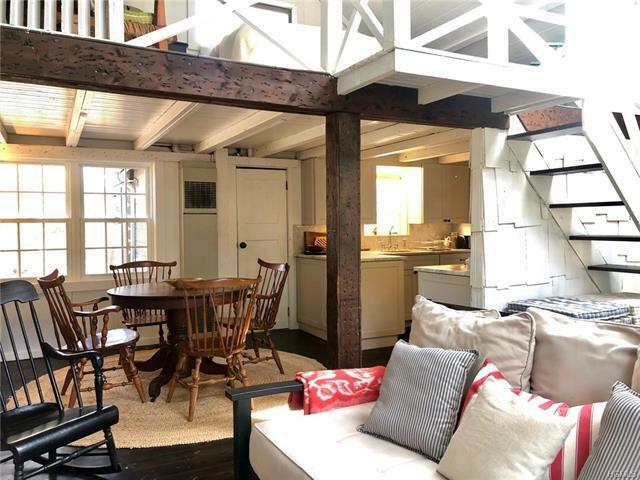 And a large sleep loft, accessible by a full-size staircase, gives this tiny house an excellent bed count.